A typical CFKW class includes a warm up to get your entire body engaged, practice time for previously learned skills and/or introduction of new skills, and then a WOD (workout of the day) with a stretching session at the end. All WOD’s are scaled and modified to each athlete’s level and performed at the highest intensity that the individual can sustain with proper form and technique. Classes typically last 1 hour to an hour. We gauge introductory classes on your personal needs. One introductory class is free with the first purchase of any class pass. Trainers are flexible with dates and times. Please email Jeff Younger (younger.jeff@gmail.com) if you are interested in scheduling an intro class and/or to discuss your needs. This class is designed for kids ages 10-15. The objective of this class is to teach kids functional workout movements, engage them in teamwork and fun activities while developing an understanding and love for fitness. Our goal is to work hard and have fun! If your child is under 10 and you think they’d be a good candidate for this class, please email Jeff Younger (younger.jeff@gmail.com). CrossFit Endurance Philosophy: You are a CrossFitter first. You are a CrossFit Endurance athlete second. 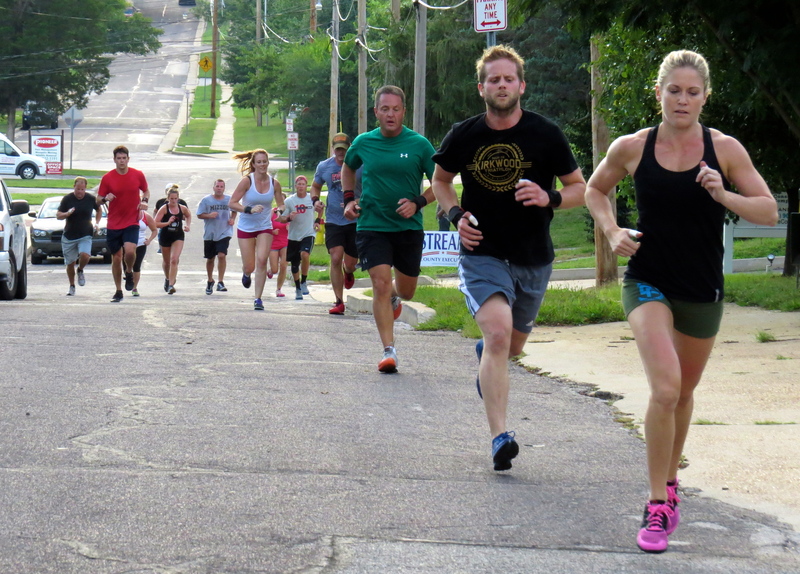 CF becomes your base of fitness, and spending time in the anaerobic zone as well as building strength will positively make you a stronger runner, biker, and/or swimmer. These interval classes incorporate targeted mobility work at the onset, skills to develop the core and posterior chain, endurance intervals and then stretching/additional mobility work at the end. CFE classes offer the perfect layer upon your CF base! Open gym is a time to work on a lift, do a WOD you’ve been wanting to try/retest, or ask the trainer to program you something special! You can come in anytime during open gym. Suggestions will be on the board, but it’s member choice!